Recently I picked up Julie Nutting’s book, Collage Couture. I love the book and I love her collage girls. This inspiration block was my first attempt at it. 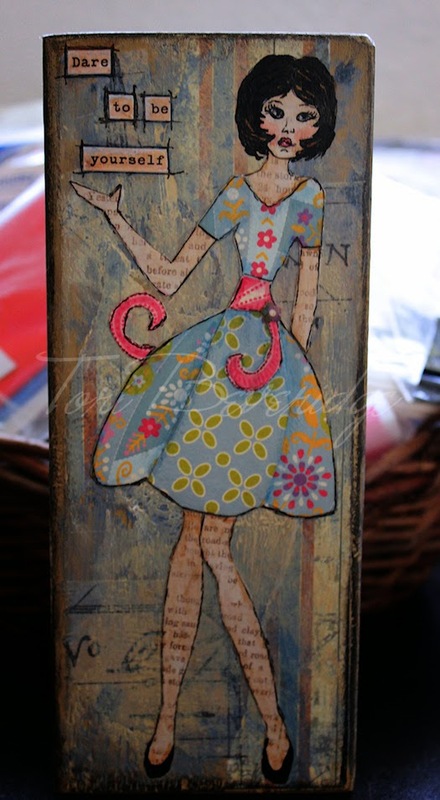 This block also marked the first time that I actually loved the background that I created with torn papers and paint. While I like the girl I made, I like the other side of the block so much more. 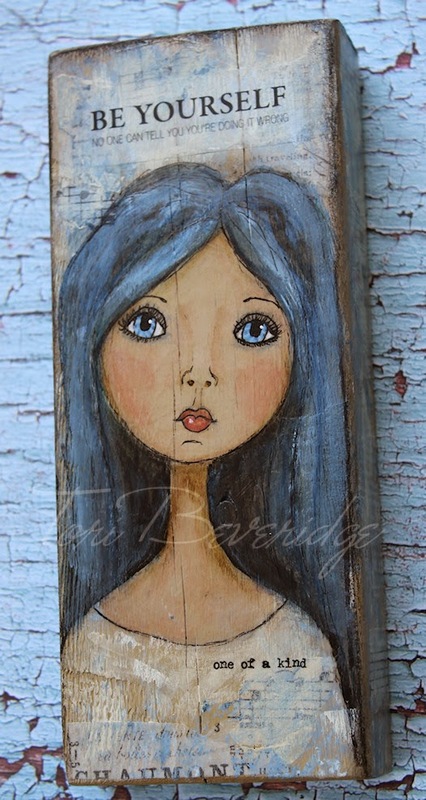 The success of the background made me brave enough to paint right on the wood… another first for me! The message of this block really began to ring true for me as I worked. There are so many techniques used by artists to in mixed media and what works for some, doesn’t always work for others. I’ve been having fun trying and learning different techniques, but I have been struggling. I wasn’t comfortable. With this inspiration block, I finally went with my own instincts and stopped trying to follow instructions on how to do things. I was trying too hard before, trying to get the technique ‘right’. 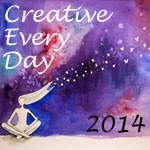 Going with the flow, listening to, and being myself while creating is happening! I did a rough sketch and started painting the flesh tones and hair. After a layer of gel medium, I worked with ink pens and more paint. I love the texture of the wood showing through. 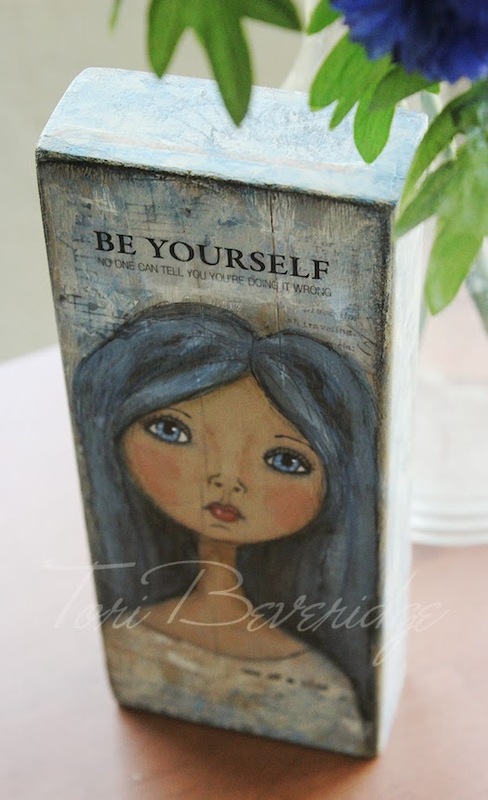 Be Yourself is a mixed media Inspiration Block and is approx 3 1/2 by 8 1/2 inches. Three sides have a message. The bottom is signed. 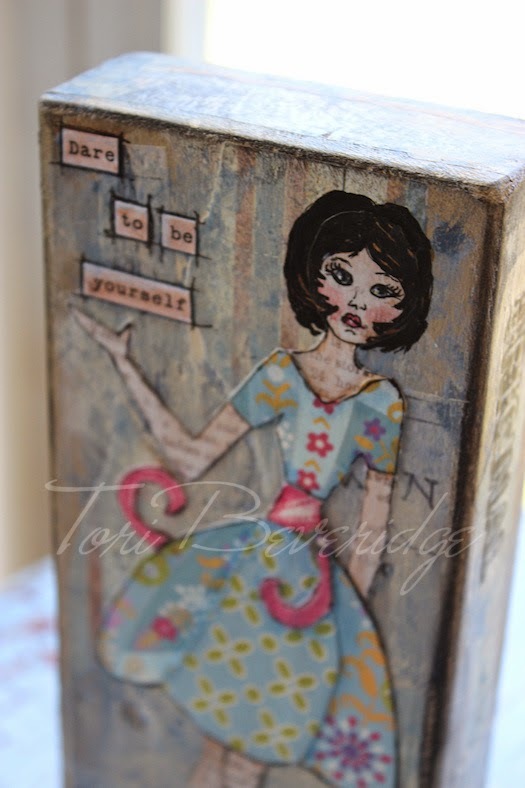 Inspiration blocks are designed to stand on a table or desk, shelf etc. Be yourself. No one can tell you you’re doing it wrong! 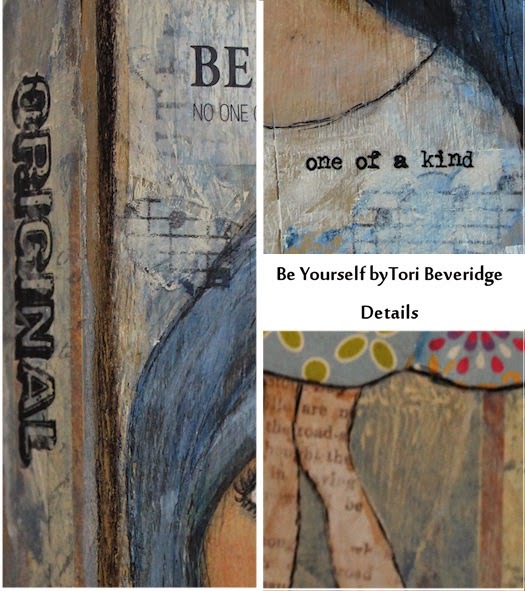 Posted in Creative Every Day, mixed media, mixed medium, motivational art, portrait, Tori Beveridge and tagged collage, inspiration block, inspirational, motivational, painting. ABSOLUTELY love this!! Not only the block, but your message as far as finding your own way. It's the only technique that has ever worked for me. 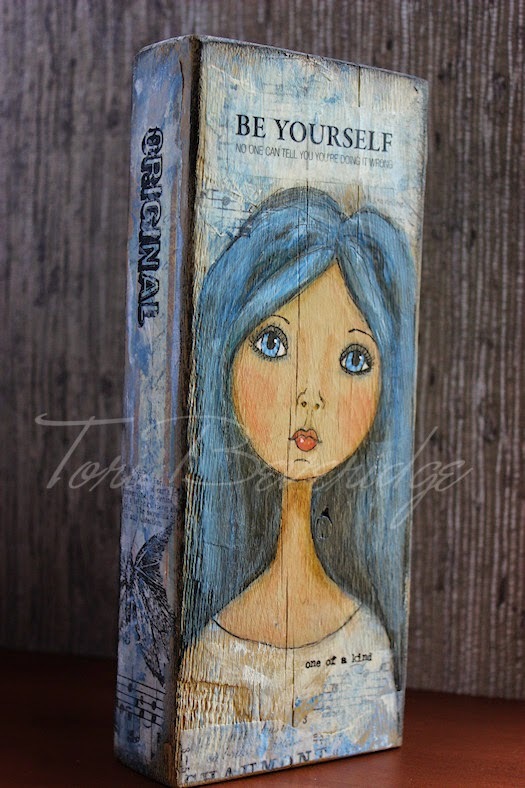 I truly adore this inspirational block and your drawing is fantastic! 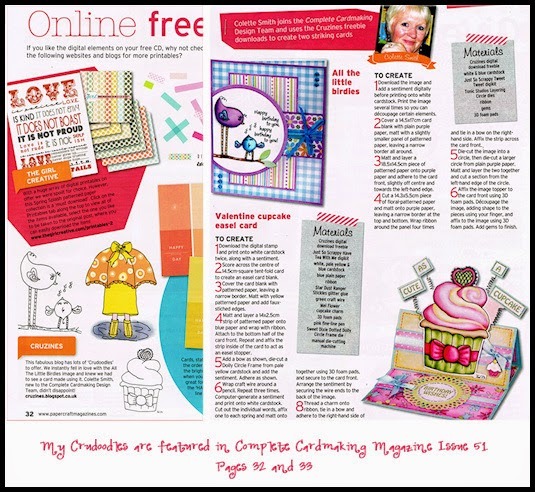 Cruzines featured in Complete Cardmaking Magazine!